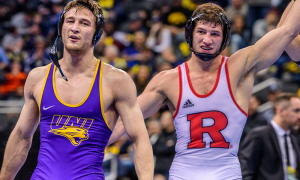 It seems like we say it every week, but what an unpredictable couple of days for college wrestling. 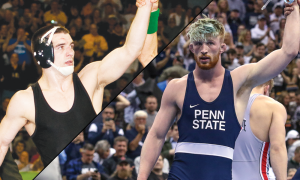 One of the season’s most highly anticipated dual meets took place with #1 Penn State traveling to #6 Ohio State. The match featured two major upsets and a meeting between two undefeated wrestlers. Also, we got to see an impromptu bout between two number ones, more wrestlers fall from the ranks of the unbeaten, and a crazy WCWA team race. So here are the top 10 performances of the last week in college wrestling. Don’t look now but Army West Point won their fifth straight dual on Sunday by defeating Bucknell 22-19. Head Coach Kevin Ward’s squad is now 7-2 on the season and 6-0 in EIWA conference duals. The seven wins is now a high water mark for the team under Ward. It appeared that the winning streak may be snapped after fourth-ranked Rocco Caywood fell at 197 lbs for the Black Knight, bringing the team score to 19-16 in favor of the Bison; however, Caywood and his teammates were picked up by 285 lber Ben Sullivan who sealed the win was a fall over Eric Chakonis in 5:26. Army West Point was sparked at the outset of the match by Ryan Hetrick who earned his first career dual meet victory in sudden victory at 125 lbs. Others that earned wins for the Black Knights are Lane Peters (133 lbs), Corey Shie (141 lbs), Cael McCormick (165 lbs), Ben Harvey (174 lbs), and Noah Stewart (184 lbs). One of the wrestlers that set the tone for top-ranked Penn State’s dismantling of Ohio State, was Nick Lee’s upset of previously unbeaten Joey McKenna at 141 lbs. McKenna jumped out to an early lead and built off of it, carrying a 5-2 advantage into the third period. After an escape, Nick would use a big double leg to tie the score at three with 1:10 remaining in the match. At that point, Lee gave McKenna an escape, making the score 6-5 in favor of the Buckeye. The decision not to ride McKenna was a smart one, as Lee was able to finish another takedown with 30 seconds left, then ride McKenna out for the victory. In their 2017-18 dual meeting, Lee came dangerously close to knocking off McKenna before falling 7-6. After losing his only match of the season in mid-January, Lee is now on a five-match winning streak heading into this weekend. It was a tough field with many qualified possible recipients, but Abby Nette was voted the Most Outstanding Wrestler at the 2019 WCWA National Championships. Nette grabbed her first national title while competing in a 130 lb bracket that was one of the more difficult in the entire tournament. Abby started her tournament off with a pair of quick tech falls, and then and a 14-second pin in the quarterfinals. In the quarters, against returning All-American Lauren Mason (Simon Fraser), Nette was not slowed down a bit, when she prevailed 14-4. For the championship, Abby turned in a 12-2 tech fall over another returning AA, Brenda Reyna (McKendree). Earlier in the season, Nette only defeated Reyna by the score of 7-5. This was the second that Nette has earned All-American honors, as she was third at 123 lbs last season. 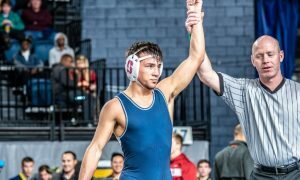 It was quite the productive trip down to North Carolina for the Pittsburgh Panthers and their 184 lber Nino Bonaccorsi. On Saturday Bonaccorsi racked up two wins against Christian Salter (Gardner-Webb) and Conor Fenn (Davidson). In the Salter match, Nino registered a first-period fall at 2:42. Against Fenn, he would throw a 7-0 shutout. It was his performance Sunday though against third-ranked Nick Reenan (NC State) propelled Bonaccorsi onto this week’s list. Nino not only scored the upset, but he was also able to amass bonus points, winning 8-0. 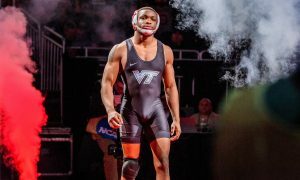 This weight class will be fun to follow at the ACC Championships, as Bonaccorsi will encounter All-Americans Zack Zavatsky (Virginia Tech) and Chip Ness (North Carolina), in addition to Reenan, an upstart Kaden Russell (Duke), and former qualifier Will Schany (Virginia). In one of the more inspirational moments of the week (and season), the Cowboys 125 lber Doyle Trout picked up a dual win against Utah Valley’s Josh Jensen 6-3. It was his first dual appearance of the season and only the second of his career. 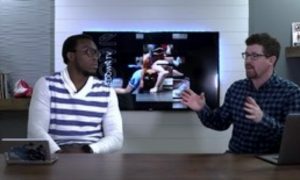 Before enrolling at Wyoming, in 2015, Trout was a top recruit for the Cowboys and was involved in a very serious car accident which resulted in his left leg needing to be amputated. Wyoming head coach Mark Branch honored his scholarship offer to Trout, who has been competing for the Cowboys since the 2016-17 season. Doyle was one of eight Cowboys that earned victories in their 27-6 drubbing of Utah Valley. 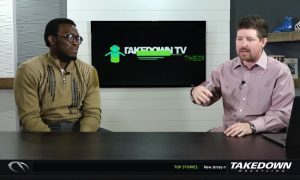 Vito Arujau came into this week with a sparkling 18-1 record; however, he had not faced any opponents ranked in the top ten, and still very few amongst the top 20. That meant it was hard to get a read on exactly where he belonged in the 125 lb weight class. 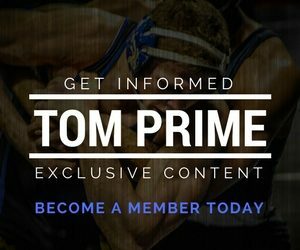 A pin of ninth-ranked Patrick Glory (Princeton) on Saturday showed that he belongs in the upper-echelon of 125 lbers and could be a darkhorse threat for an NCAA title. 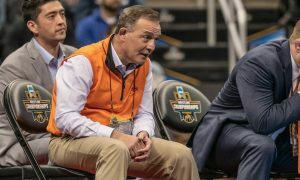 Glory has faced 2018 NCAA champion Spencer Lee twice and undefeated Nick Piccininni (Oklahoma State) and neither has been able to pin the Tiger freshman. Arujau didn’t just get lucky and catch Glory, he was able to rack up multiple takedowns before the fall. The only blemish on Arujau’s record this year has come up at 133 lbs, against teammate Chaz Tucker. 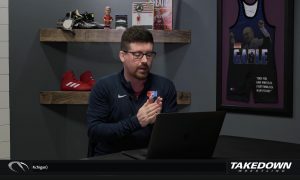 For a good portion of this season, fans have lamented over some of the intriguing potential matchups that did not occur due to one of the parties not competing. 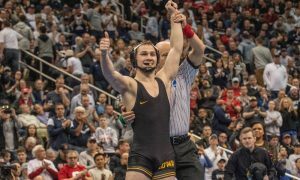 One of those matches was when number one 125 lber Sebastian Rivera was slated to meet second-ranked Spencer Lee (Iowa). Lee did not weight in and we missed out on seeing a rematch of their Midlands final, won by Rivera. Sebastian actually had a four-match stretch where he received two forfeits and faced two backups. After decisively taking out number seven, Rayvon Foley (Michigan State) 13-3, Rivera decided to test himself, even more, Sunday when the Wildcats met Michigan. Rivera weighed in a 125 but bumped up and met fellow undefeated and #1 Stevan Micic at 133 lbs. We felt that Micic should be congratulated for his ability to control Rivera and get the win, Rivera should also be commended for testing himself and giving the fans a match we never anticipated on seeing. 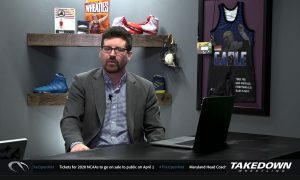 For a program that has competed at the WCWA National Championships since the inception of the tournament, Menlo had never previously threatened to win a team title. That was until this year’s event held on Friday and Saturday in Marietta, Georgia. Three Oaks women won national titles (Alleida Martinez, Gracie Figueroa, and Solin Piearcy), and five others (Iman Kazem, Hiba Salem, Precious Bell, Tiana Jackson, and Angela Peralta) earned All-American honors. Menlo edged second-place Simon Fraser by only 4.5 points, in a tournament that saw the team score go back-and-forth throughout the second day of competition. Head coach Joey Bareng just completed his sixth season as head coach and guided a team that has finished a team that had finished fifth in each of the last two seasons to a national title. Lost in the shuffle with the dominant performance by Penn State Friday night was three-time All-American Daniel Lewis’ huge victory. Not only did Daniel defeat the returning 174 lb national champion, second-ranked Zahid Valencia (Arizona State), but he did so by pinning Zahid in a cradle. It was the first time in Valencia’s college career that he has lost to someone not named Mark Hall, and it is also the first time he has been pinned collegiately. The win brings Lewis’ record in his senior season up to 19-1 and it was his 11th fall of the year. He’ll carry an 11-match winning streak into the Tigers Saturday dual with number two Oklahoma State. Fourth-ranked Missouri went on to cruise to a 30-12 victory of the Sun Devils.